Hallmark was asked by “The Legal Description” to participate in the writing of an article on the impact that the foreclosure crisis could have on our business and the title insurance industry in general. The full article is below with the section provided by Hallmark Abstract highlighted in bold and italicized. After the foreclosure processes of several mortgage servicers were called into question last fall, Congress jumped to action, holding hearings to investigate these procedures. All 50 state attorneys general teamed up to hold their own investigation and are currently negotiating a settlement with the largest mortgage servicers in the country, a settlement which could result in major reforms for the servicing industry. The states have also taken action, with certain states jumping into action with judicial rules or emergency legislation. Other states are being more methodical in their efforts, introducing legislation during the regular session of the legislature and carefully examining the bills’ potential impact. With actions being considered in several states, The Legal Description examined the impact of actions already taken in three jurisdictions: Washington, D.C., New York and Maryland. Standstill in D.C. Virtually no foreclosures have occurred in Washington, D.C., since the council adopted the Saving D.C. Homes from Foreclosure Congressional Review Emergency Amendment Act of 2011. The new law requires mortgage lenders to provide homeowners with a notice of default on residential mortgages. It also provides homeowners with the right to engage in mediation prior to foreclosure on residential mortgages. The written notice of default lenders are required to send out must include, among other things, a description of all loss mitigation programs available to the borrower and a mediation election form. A mediation administrator appointed by the commissioner of the Department of Insurance Securities and Banking (DISB) is then required to reach out to the borrower, offering their services and reminding the borrower that they will lose the right to mediation if they do not return the loss mitigation application to the lender and the mediation election form to the mediation administrator within 30 days of the notification. If the borrower elects to engage in mediation, a mediation session would be scheduled for no later than 45 days after the mailing of the notice of default. Before the troubled property can be sold to a third party, the lender must receive a certificate of mediation from the DISB, either after the borrower has indicated they do not wish to engage in mediation or after mediation is completed. Currently, the DISB is drafting regulations to implement the new law. Because the new law states that a certificate of mediation must be received before property can be foreclosed upon, no foreclosures have taken place since the new law was passed. The D.C. Land Title Association (DCLTA) has been working with the DISB on the efforts to ensure that when title is transferred after a foreclosure, it is clear and marketable. Kaufmann said the association’s primary objective is to get the legislation or the regulations to state dispositively that the process has been completed. He said that if a borrower can come back and refute the mediation, asking for the mediation certificate to be set aside, it would wreak havoc on the title industry because a title insurer will have insured the sale of the property in question. Kaufmann noted the group has given their suggestions to the DISB for consideration. The New York State court system has instituted a new filing requirement in residential foreclosure cases to protect the integrity of the foreclosure process and prevent wrongful foreclosures. The requirement, handed down by Chief Judge Jonathan Lippman on Oct. 20, 2010, states that plaintiff’s counsel in foreclosure actions are required to file an affirmation certifying that counsel has taken reasonable steps — including inquiry to banks and lenders and careful review of the papers filed in the case — to verify the accuracy of documents filed in support of residential foreclosures. Since then, courts have handed down decisions that added confusion. 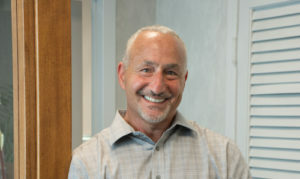 Michael Haltman, a partner at Jerich, N.Y.- based Hallmark Abstract Service LLC, said that when the Lippman decision was handed down and title insurers came out with new indemnification requirements, “it seemed that [the requirements] would be incredible stumbling blocks” because lawyers were not going to put their license on the line to assert that everything that has been done has been done correctly. “Since then, different rulings in different courts have come up with different determinations,” Haltman said. “Where it looked like it was going in one direction, now with Mortgage Electronic Registration Systems Inc. (MERS), you’ve had some situations where the courts have upheld MERS and then you’ve had other decisions where the courts have not upheld MERS in terms of the right of the lender to foreclose in the name of MERS. It’s kind of morphed from something that looked like a certainty and now has really changed to a court by court [situation]. There is really no certainty right now. Haltman pointed to the decision of the U.S. Bankruptcy Court for the Eastern District of New York in In re: Ferrel Agard, in making his point. In that case, the court ruled in favor of MERS, but cautioned that in all future cases involving MERS, the moving party must show that it validly holds both the mortgage and the underlying note in order to prove standing. Haltman noted that his company has been in a few situations since the ruling came down where it couldn’t establish a good chain of title and decided not to insure those deals. He also pointed out that in making that decision, his company was in close contact with the attorneys at the underwriter to make sure both companies understood the proposed risk before deciding to say no. Slow in Maryland The Maryland Court of Appeals adopted new Rule 14-207.1 and amendments to Rules 1-311 and 14-207. The rules changes allow courts to screen affidavits filed in residential foreclosure cases, and if they have reason to believe that an affidavit may be invalid, enter an order directing the affiant, and where applicable, the notary to appear before the court and establish that the affidavit is genuine, failing which the foreclosure action may be dismissed. Charlene Perry, manager, The Preferred Title Group Inc. in Baltimore Md., said that business has slowed down since the adoption of the new rules. Time lines associated with getting the foreclosure process completed have been extended as a result of the rules. In addition, she said judges are taking more time reviewing the files, which is also creating a delays in the final ratification of the sales by the courts and by the auditors. Perry said that because of the new rule, her office requires that its attorney/abstractors pull the foreclosure file and copy every page of the file as part of their title search/exam. In years past, the company was able to review the docket entries and rely upon the order of ratification by the court and the auditor. Her company also requests that the foreclosure attorney provides it with copies of proof of notices to all parties, not relying on the blanket notice affidavit filed in many foreclosure files, but instead insuring that all necessary parties have been notified of the foreclosure action. “Every document has to be reviewed and if we find such things as corrective affidavits in the foreclosure file, that case needs to then be examined by underwriting counsel and specific approval for issuance of the title policy must be given,” Perry said. She also said that signatures are being reviewed more carefully, “not for purposes of determining their authenticity, keeping in mind that title agents are not handwriting experts, but to cross check the names with those we know of that have admitted to robo-signing.” If a known robo-signer has executed any of the documents, they too must be approved by underwriting counsel, Perry noted.